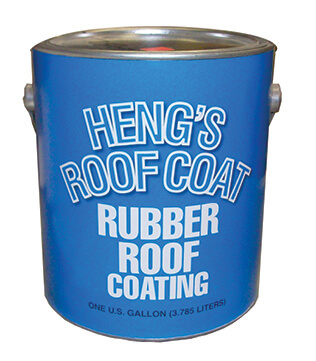 Home > ROOF COATING & SEALANTS > RUBBER ROOF COATING 1-GAL. Used to repair or recoat rubber roofs and to reseal protrusions in the roof. Can be applied over galvanized steel, bituminous built-up roofs, concrete, wood, polyurethane foam and asphalt roof shingles or wherever a flexible, durable and long lasting protection is needed. Covers 200 square feet per gallon.